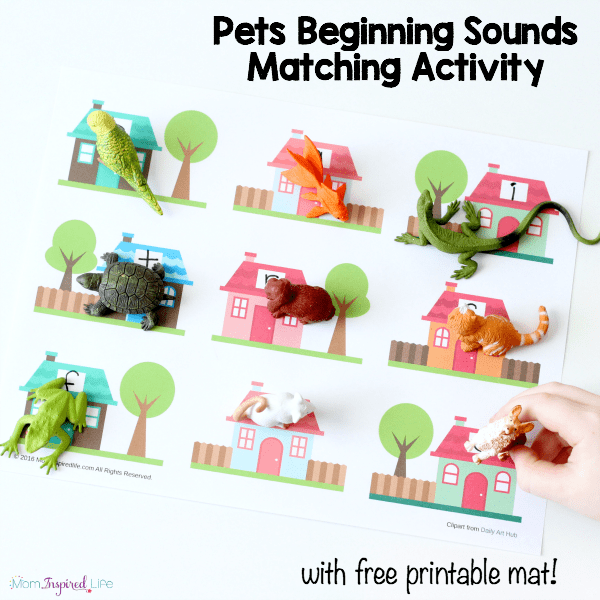 This pets beginning sounds matching activity is a fun, hands-on literacy activity! It also pairs perfectly with the book What Pet Should I Get? 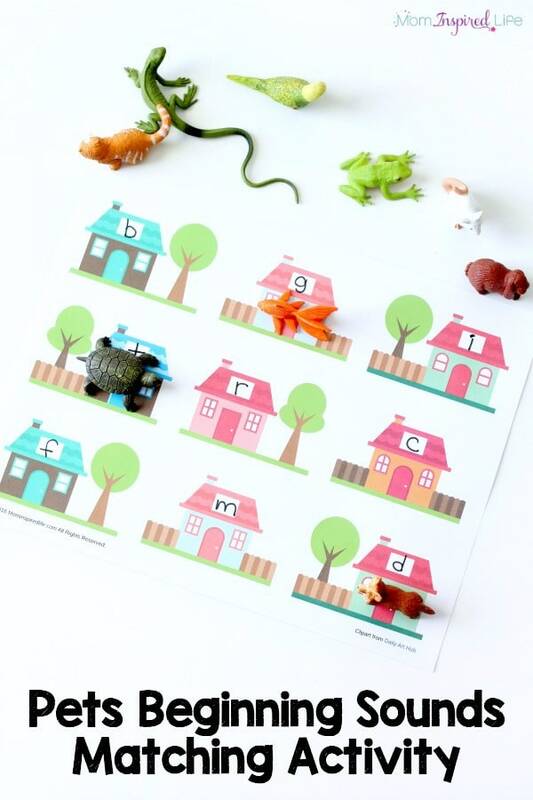 This week, the ECE Team is featuring lots of pet activities, so I pulled out our pets toob and created this simple matching activity. 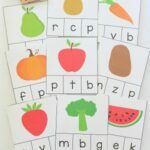 At first, I was just going to write the letters on a piece of paper, but I decided to take it a step further and create a colorful printable mat that take the activity up a notch. 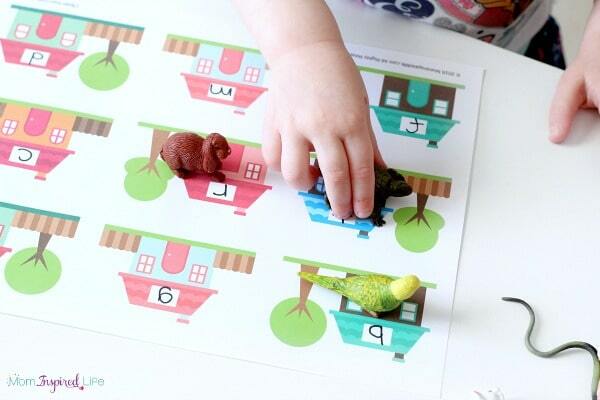 Print out the matching mat. 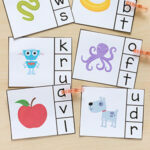 Write the beginning letter of each pet name on one of the houses on the mat. I instructed my son to choose a pet and see if he could figure out which house it lived in by looking at the letters on the house. 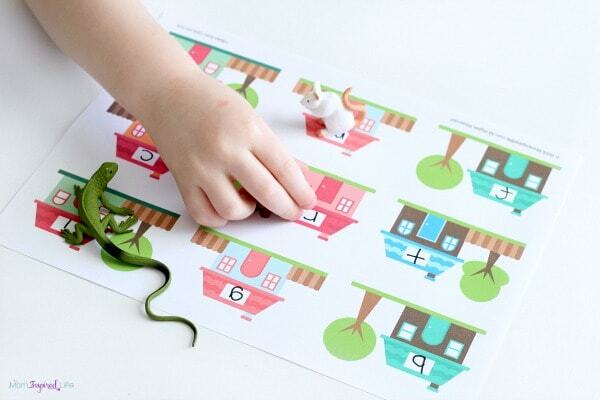 In order to do this, he would need to figure out the beginning letter sound of each pet and then decide which letter makes that sound. He picked up the iguana and I asked him what sound was at the beginning of that pet name. He eventually decided that it started with an “i” and went looking the home with that letter on it. When he found it he placed the iguana toy on it. This continued through each and every pet toy we had and he got better and better at as we went along. Eventually, he was doing each one on his own with no input from me. My toddler wanted to get involved, so she got a chance to do it too. She would pick up a pet and then ask me where it went on the mat. I would say “What animal is that?” and she would say something like “A bird” and then I would say “Bird starts with ‘b’ so she lives in this house with the ‘b’ on it.” We did this over and over through all of the animals. 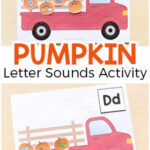 It was an excellent way to talk to her about letter names and show her what the letters look like. 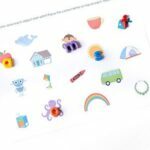 Another thing I love about this activity is that it pairs perfectly with the new Dr. Seuss book What Pet Should? I highly recommend reading this book and then doing the activity. Your kids will love it! 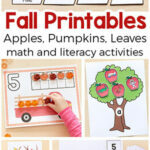 Here are some more beginning sounds activities I think you will enjoy! 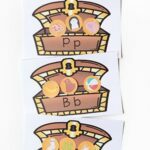 Bingo Pets from Powerful Mothering .